Ivanka Trump Winces as Donald Trump Slams the Clintons: Watch! Dad, don&apos;t do it! 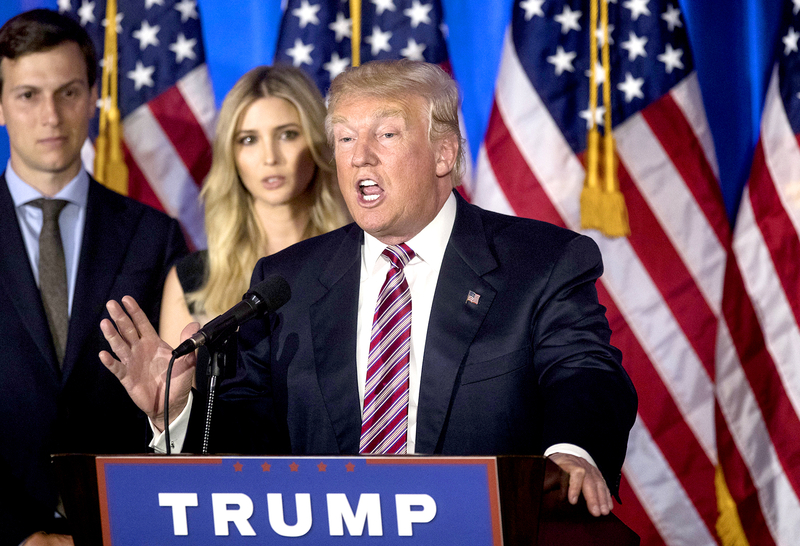 Ivanka Trump appeared to wince during her dad Donald Trump&apos;s New Jersey primary victory speech on Tuesday, June 7. The businesswoman 34, stood beside Trump and her stepmother Melania Trump during the live broadcast. She gracefully smiled and clapped throughout, but noticeably grimaced when the Republican presidential nominee threatened to reveal all about Hillary and Bill Clinton in an upcoming rally. "I am going to give a major speech on probably Monday of next week and we&apos;re going to be discussing all of the things that have taken place with the Clintons," Donald said, shortly before Hillary become the first woman to clinch the presidential nomination for a major party. "I think you’re going to find it very informative and very, very interesting." "They&apos;ve made hundreds of millions of dollars selling access, selling favors, selling government contracts. And, I mean, hundreds of millions of dollars," he added. "Secretary Clinton even did all of the work on a totally illegal private server … designed to keep her corrupt dealings out of the public record, putting the security of the entire country at risk." Last month, Ivanka revealed that she sometimes doesn&apos;t see eye to eye with her father&apos;s comments. "People ask me, do I ever disagree with my father? It would be a little strange if I didn&apos;t," she told Town & Country magazine. As previously reported, Hillary&apos;s daughter, Chelsea Clinton, and Ivanka have been friends for years. Back in March, Politico reported that the two decided to take a pause on their friendship as their parents duke it out for the White House. Hillary and Bill attended Donald and Melania&apos;s wedding in 2005. Last year, Hillary said during a press conference that she thought "it&apos;d be fun" to attend.